Hydrogen sulphide (H2S) is known for being extremely toxic, as well as highly corrosive. In an inerted tank environment, it poses an additional and serious hazard combustion which, it is suspected, has been the cause of serious explosions in the past. Hydrogen sulphide can be present in %vol levels in “sour” oil or gas. Fuel can also be turned ‘sour’ by the action of sulphate-reducing bacteria found in sea water, often present in cargo holds of tankers. It is therefore important to continue to monitor the level of H2S, as it can change, particularly at sea. This H2S can increase the likelihood of a fire if the situation is not properly managed. A tank full of oil or gas is an obvious fire hazard under the right circumstances. The three elements of fire are fuel, oxygen and an ignition source. Without these three things, a fire can’t start. Air is around 21% oxygen. Therefore, a common means to control the risk of a fire in a tank is to remove as much air as possible by flushing the air out of the tank with an inert gas, such as nitrogen or carbon dioxide. During tank unloading, care is taken that fuel is replaced with inert gas rather than air. This removes the oxygen and prevents fire starting. By definition, there is not enough oxygen in an inerted environment for a fire to start. But at some point, air will have to be let into the tank – for maintenance staff to safety enter, for example. There is now the chance for the three elements of fire coming together. How is it to be controlled? The element that can be controlled is fuel. If all the fuel has been removed and the combination of air and FeS causes a spark, it can’t do any harm. From the above, it is obvious how important it is to keep track of all the elements that could cause a fire in these fuel tanks. Oxygen and fuel can be directly monitored using an appropriate gas detector, like Gas-Pro TK. 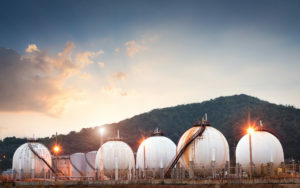 Designed for these specialist environments, Gas-Pro TK automatically copes with measuring a tank full of gas (measured in %vol) and a tank nearly empty of gas (measured in %LEL). Gas-Pro TK can tell you when oxygen levels are low enough to be safe to load fuel or high enough for staff to safely enter the tank. Another important use for Gas-Pro TK is to monitor for H2S, to allow you judge the likely presence of the pryophore, iron sulphide. Working in the office makes it easy to focus on the individual tasks and get detached from how our products are making a difference to people’s lives. One of our customers was kind enough to facilitate an onsite visit so that Andrea (our Halma Future Leader on a marketing placement) could see first-hand how our products are used and who the end users are. This meant a visit to an oil refinery to see where our Crowcon portable gas detectors are used. “The main thing that surprised me was the sheer size of the site. The oil refinery was very spaced out and it took us 10 minutes to walk from the entrance of the site to where the Crowcon engineer’s based. 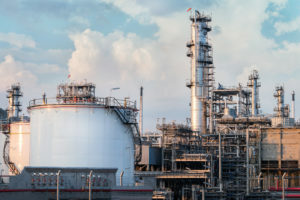 The engineers and employees around different parts of the refinery wore Hi Vis jackets, big safety boots, hard hats and all appeared to have personal gas detectors. During a quick site tour, I learned the products of the oil refinery are not limited to gas or petrol, but also tar, asphalt, lubricants, washing up liquid, paraffin wax and much more. The products are all stored in big containers with pipes all over the site. Most of the products are highly flammable which explains the big focus on safety. In the distance, there were a few dome shaped containers which are pressurised vessels. If one of them were to explode, it would have a 10 mile blast radius. Suddenly I had the urge to leave and drive about 10 miles. Crowcon’s engineer base was full of orange T4s, Gas-Pros as well as an army of “Daleks”, I mean Detectives, awaiting calibration and service. While the harshness of this industrial environment was evident from their appearance, they were otherwise in good working order, and the service engineer worked through the devices quickly. The end users think of them as a simple device they have to wear to do their job, and they like the simplicity and reliability of Crowcon devices. The Detectives get thrown around and Gas-Pros are almost black is comparison to the usual orange, which just showcases how important the robustness of our devices is. The dangers of this working environment are not generally a big concern to the users, this is everyday life to them. Our devices help ensure they go home after a tough shift. Ensuring the devices are functioning properly is down to the service engineers, and they need to think for the users to ensure that the devices are being used properly. 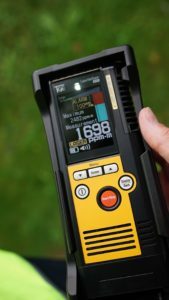 Do you use your portable gas detector every day? Or perhaps you get it out of storage as and when you need it? 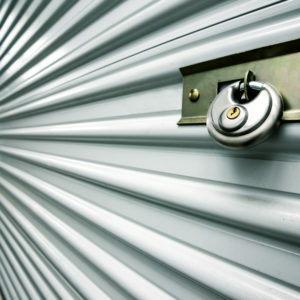 Either way, there are things to consider if you’re putting your detector into storage – and the conditions they’re kept in can have a real impact. Your portable detector contains a battery – and it doesn’t entirely switch off the moment your detector does. Internal processes, like the date and time clock, are running all the time. If your battery runs flat when in storage, you might have to reset the date and time when you start the detector back up again. This is easy to do if you have the right accessories, but it could otherwise lead to an inconvenient trip to your service centre. Larger detectors, like Detective+, contain lead-acid batteries (like a car battery). Like their vehicular relatives, these batteries don’t like being left to go flat during storage, which can also adversely affect the battery life. Give them a boost before putting them away, and keep them topped up periodically. Generally, it’s good practice to charge your detector fully before storing, and refer to the user manual for particular advice about charging before and during storage periods. 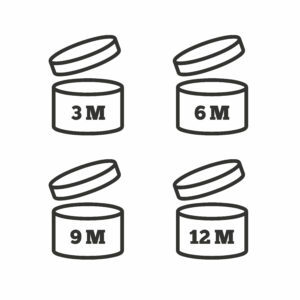 Typical storage times obviously vary from case to case, but in our examples we’re working to a four week storage period. Both batteries and detectors are sensitive to their storage environment. Avoid extremes of temperature and humidity, and keep your detectors away from any chemicals that could affect the sensors. Things like high concentrations of solvents or silicone compounds can poison catalytic flammable sensors, for example – and there are plenty more examples in our blog on the subject. When using your detector for the first time after a period of storage, make sure it’s fully operational and within calibration periods. For more information on how to check and recalibrate your detectors, take a look at our blog on detector calibration. Any questions? Call Crowcon Customer Support on +44 (0)1235 557711. Without wishing to sound accusing, where were you the last time you zeroed your CO2 detector? In your vehicle? In the office before you travelled to the location you were working in? It might not have caused you problems so far, but the air around you can make a big difference to the performance of your CO2 detector. Zeroing your detector means calibrating it so its ‘clean air’ gas level indication is correct. When is zero not really zero? Many CO2 detectors are programmed to zero at 0.04% CO2 rather than 0%, because 0.04% is the normal volume of CO2 in fresh air. In this case, when you zero your detector, it automatically sets the baseline level to 0.04%. What happens if you zero your CO2 monitor where you shouldn’t? If you zero your detector where you shouldn’t, the actual CO2 concentration could be much higher than the standard 0.04% – up to ten times higher, in some cases. The end result? An inaccurate reading, and no true way of knowing how much CO2 you’re actually exposed to. What are the dangers of CO2? CO2 is already in the earth’s atmosphere, but it doesn’t take much for it to reach dangerous levels. 8% toxicity causes headaches, sweating and tremors. You’ll lose consciousness after five to ten minutes of exposure. What can I do to make sure I’m safe? Only zero your instruments if you really have to, and make sure you zero your detector in fresh air – away from buildings and CO2 emissions, and at arm’s length to make sure your own breath doesn’t affect the reading. What if I think my zero reading is incorrect? It’s best to test the instrument with 100% nitrogen to check the real zero point, and then with a known level of CO2 test gas. If the zero gas reading is incorrect, or any other gas reading for that matter, the detector will need a full service calibration – contact your local service provider for help. If you have a Crowcon detector, you can use our Portables Pro software to correct its zero reading. For further information, call Crowcon customer support on +44 (0)1235 557711. Electrochemical sensors: how long on the shelf, and how long in the field? You might have heard the term ‘shelf life’ and ‘operational life’ before in reference to electrochemical sensors. They’re the type of terms that lots of people know, but not everybody knows the finer details of what they mean. How long on the shelf? For the purposes of this piece, “shelf life” is the time between manufacture of a product and initial operation. Electrochemical sensors typically have a stated shelf life of six months from manufacture, provided they’re stored in ideal conditions at 20˚C. Inevitably, a small proportion of this period is taken up during the manufacture of the gas detector and in shipping to the customer. With that in mind, we’d always advise that when acquiring sensors and any spare parts during its lifetime, you plan and time your purchases for minimal delay between storage and usage. How long in the field? Again, “operational life” in this context refers to the time from when a sensor starts being used, until it’s no longer fit for purpose. In absolutely ideal conditions – stable temperature and humidity in the region of 20˚C and 60%RH with no incidence of contaminants – electrochemical sensors have been known to operate in excess of 4000 days (11 years)! Periodic exposure to the target gas doesn’t limit the life of these tiny fuel cells: high quality sensors have a large amount of catalyst material and robust conductors which don’t become depleted by the reaction. However, absolutely ideal conditions don’t always exist, or stay that way, so it’s vital to err on the side of caution when it comes to gas sensors. With that in mind, electrochemical sensors for common gases (for example carbon monoxide or hydrogen sulphide) have a typical operational life of 2-3 years. A more exotic gas sensor, such as hydrogen fluoride, may have only 12-18 months. You can read more about sensor life in our HazardEx article. Leave a reply on Electrochemical sensors: how long on the shelf, and how long in the field? Think back to the last time you wanted to test your flammable gas detector. You’re busy; you want something quick and convenient. An obvious answer is a cigarette lighter, isn’t it? A quick squirt of gas should do the job. Shouldn’t it? If ‘the job’ is ruining your detector’s sensor at the flick of a switch, then yes! Pellistor-type sensors (also known as catalytic beads) are used in industrial gas detectors to detect a wide variety of gases and vapours. The sensors are made up of a matched pair of ‘beads’ which are heated to react with gases. The sensors operate in the ‘Lower Explosive Limit’ (LEL) range, so provide a warning well before a flammable level of gas concentration accumulates. 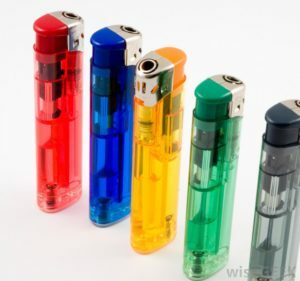 Periodic and irregular exposure to high gas concentrations is likely to compromise sensor performance, and cigarette lighters expose the sensor to 100% gas volume. Not only that, but this exposure can potentially crack the sensor beads. Cigarette lighters also leave damaging carbon deposits on the beads – leaving you with useless sensors, and potentially putting your life at risk. Bump test! Or you can calibrate using 50% LEL gas – but make sure you’re using the correct gas calibration adaptor from your gas cylinder, and that your cylinder’s flow is regulated to 0.5 to 1 litre per minute. We all know that pellistor sensors are one of the primary technologies for detecting hydrocarbons. In most circumstances, they’re a reliable, cost-effective means of monitoring flammable levels of combustible gases. As with any technology, there are some circumstances in which pellistors shouldn’t be relied on, and other sensors, like infrared (IR) technology, should be considered. Pellistors are generally extremely reliable at detecting flammable gases. However, every type of technology has its limits, and there are a few occasions where pellistors shouldn’t be assumed to be most suitable. Perhaps the biggest drawback of pellistors is that they’re susceptible to poisoning (irreversible loss of sensitivity) or inhibition (reversible loss of sensitivity) by many chemicals found in related industries. What happens when a pellistor is poisoned? Basically, a poisoned pellistor produces no output when exposed to flammable gas. This means a detector would not go into alarm, giving the impression that the environment was safe. Compounds containing silicon, lead, sulphur, and phosphates at just a few parts per million (ppm) can impair pellistor performance. So whether it’s something in your general working environment, or something as innocuous as cleaning equipment or hand cream, you could be compromising your sensor’s effectiveness without even realising it. What’s so bad about silicons? Silicons have their virtues, but they may be more prevalent than you think; including sealants, adhesives, lubricants, and thermal and electrical insulation. They can poison pellistor sensors at extremely low levels. For example, there was an incident where a company replaced a window pane in a room where they stored their gas detection equipment. A standard silicon-based sealant was used in the process, and as a result all of their pellistor sensors failed their subsequent testing. Fortunately this company tested their equipment regularly; it would have been a very different and more tragic story had they not done so. 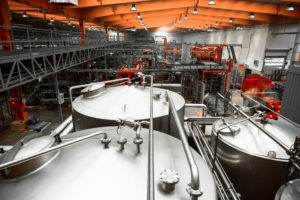 Situations like this ably demonstrate the importance of bump testing (we’re written about it previously – take a look), which highlights poisoned or inhibited sensors. What can I do to avoid poisoning my sensor? Be aware, in essence –bump-test your equipment regularly, and make sure your detectors are suited to the environment you’re working in. Find out more about infra-red technology in our previous blog. For more information about sensor technology for flammable gases, read our comparison article on pellistors vs Infrared sensor technology: Are silicone implants degrading your gas detection?. Click in the top right hand corner of the video to access a downloadable file.